"Ginny Anderson is a sure-footed guide, not only to natural treasures in the Bay Area, but to the richness of our inner experience. Circling San Francisco Bay brings the outer and inner worlds together. It is a gift to the community of life and a valuable tool for deeper connection-a book that not only informs but also enchants." 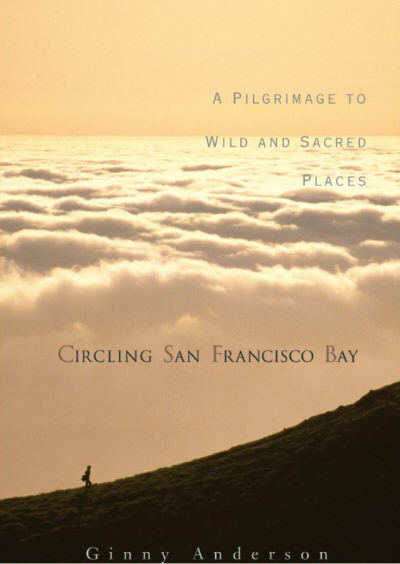 "Shamanic naturalist Ginny Anderson takes us to seven sacred sites around San Francisco Bay to gain a better understanding of their connections, and ours, in the complex web of life. ..This is a celebration of our glorious bioregion, and our responsibility to it - and not a moment too soon. " "Anderson shows us how to find these pillars of our paradise, as we come into a deeper and more spiritual bond with Mother Earth. A numinous, sentient work, and a signpost on the path to true joy in life." "In Circling San Francisco Bay, a graceful meditation on reciprocity with the natural world, Ginny Anderson shows us that we need look no farther than our own Bay Area greenbelt for the balm that soothes the nerves and feeds the soul. Go with her on a journey of healing, refreshment, and delight." "Ginny Anderson’s tour of Bay Area sacred mountains elicits the fragrance of native herbs, the sparkle of crystal rock outcroppings, and the wisdom of the natives who dwelled in this land we now call home. 'Circling' offers its readers exercises to enhance sensory awareness and pathways to greater metaphorical insights."